Siman Tov and Mazel Tov! Most all celebrations include eating, whether a little nosh or a catered meal. Etz Chayim's Sisterhood manages the Ruth and Daniel Steingroot Kitchen, a fully equipped, kosher, state-of-the-art facility. Within that kitchen, events are catered by the Sisterhood or approved caterers to celebrate life-cycle events and celebrations. These functions are held in the Louis and Dora Cohen Auditorium with a stage and seating for up to 200. 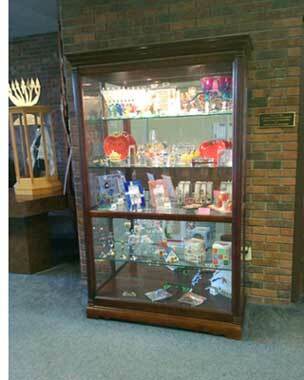 Etz Chayim's Gift Shop, managed by the Sisterhood, is known throughout the community for its extensive and lovely collection of traditional and contemporary Judaica. Gifts can be found to honor any and every individual for any and every occasion. Full synagogue membership includes burial privileges in either Beth Shalom or Eagle Point cemetery. The community's Chevra Kadisha Society oversees all burials, making sure that they are handled with dignity and respect and according to Jewish Law. Memorial plates for family members are displayed in the Grossman Memorial Cove, which is equipped with yartzheit lights. Etz Chayim houses the community mikvah. 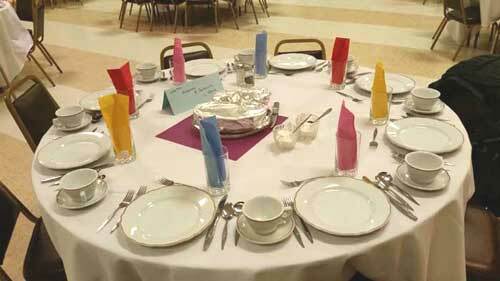 Reservations for its use can be made by calling the synagogue office. Earnings from a variety of philanthropic funds are used to enhance and support every aspect of spiritual life at the shul. These funds reflect heartfelt dedication of former and current leaders members, diversity of needs and programming, and they provide stability for our future.